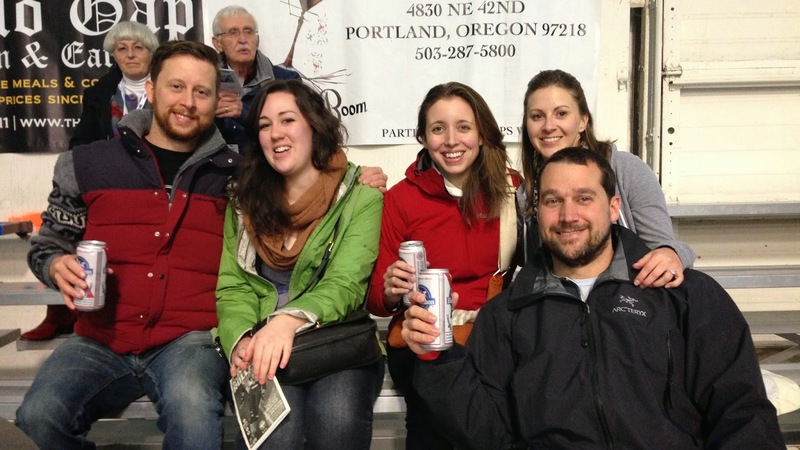 On Saturday after interviewing a Real Estate agent and stocking up on groceries, Emily and I joined Katie, Arley and Ryan for a night at the Roller Derby. 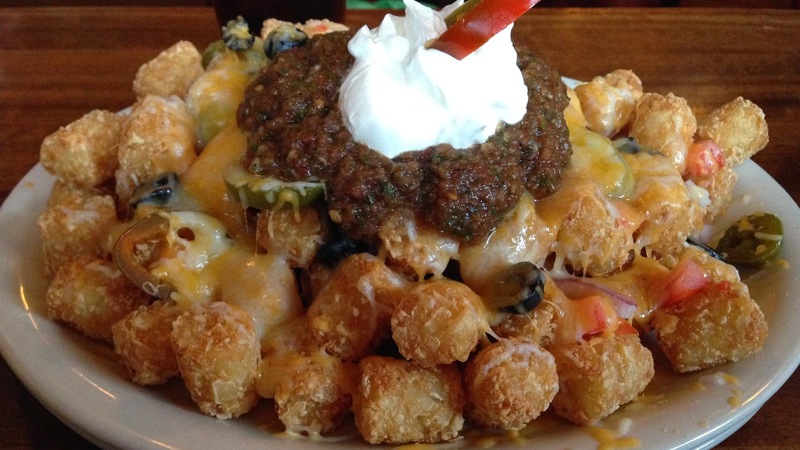 We met them first at the Oaks Bottom Public House in Southeast Portland for some Totchos (Tots with Nacho toppings) good beer, and great clam chowder. I had wings which I hadn’t had in a long time and the mess was worth it! 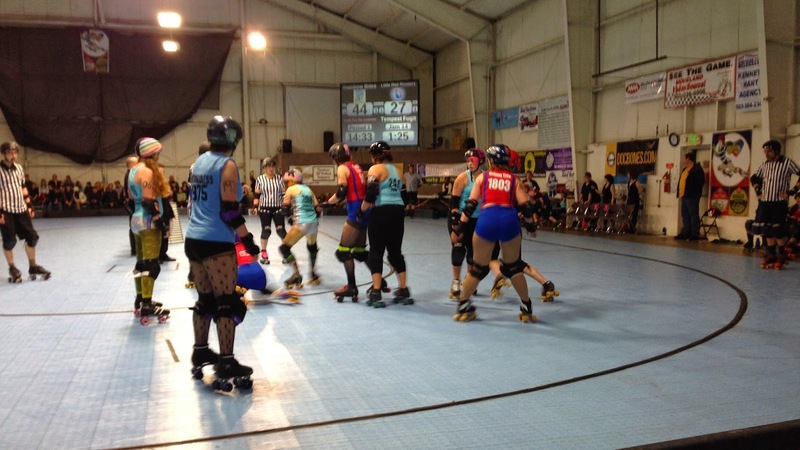 After a few pints we headed over to the Oaks Bottom Fairgrounds for the Roller derby. To our surprise it was mostly girls that seemed no older than Jr. High… Apparently this was the finals for them, which is why the tickets were $20 each. The rules of Roller Derby are pretty unique and it was certainly “interesting” watching the young girls push each other around and knock each other over on old school roller-skates. The tall boy cans of PBR and Girl Scout cookies for sale there helped. We watched a match and a half and Emily and I kept losing to Katie who seemed to be good at guessing the winning team (I owed her a beer on the way out). Since it was still pretty early and there was a Timbers game on TV we headed into town to watch the Timbers pull off an amazing last second game tying goal before heading to Life of Pie for some late night pizza. The Margharetta pizza was the best I’d had in a long time. 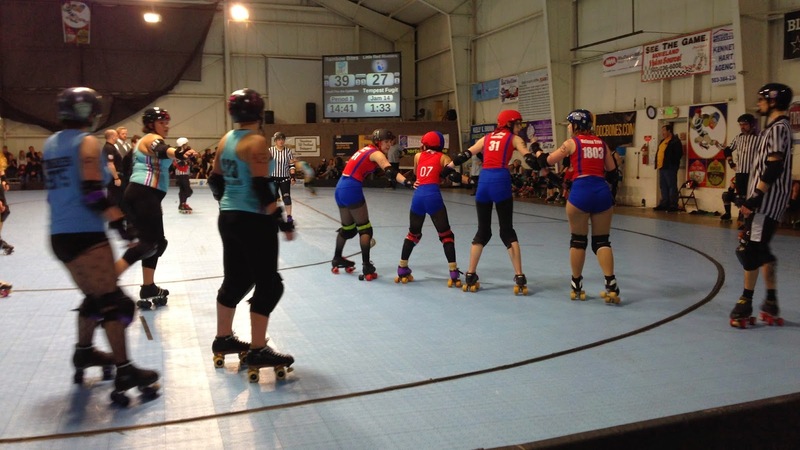 Although it was an odd night watching young roller derby girls I did get a roll-by high five from “Jill the Ripper” and it was a lot of fun hanging out with Arley, Katie and Ryan as usual.